Creativity in schools is a hot topic all over the world. With the job landscape constantly evolving, our children need to be prepared for a future that we simply can’t predict. Therefore, creative problem solving is possibly the most important skill we can teach students. Sir Ken Robinson, whose aptly named 2006 TED Talk ‘Do schools kill creativity?’ is still the most watched TED Talk of all time, is a famous advocate of fostering creativity in the classroom. In the talk, he proposed that teaching creativity is equally important as teaching literacy. Creativity is at the forefront of the work place. Employers of all sizes and in all industries are trying to improve creativity by building open-plan offices, and encouraging teamwork and collaboration. However, there is increasing evidence that the noise and social interactions associated with open offices actually leads to less creative thinking. It seems that there’s a simple solution to this problem that educators and employers could tap into immediately: recent research has shown that letting the mind wander is one of the best ways to foster creativity. In recent years, scientists have started paying more attention to mind-wandering, an activity that psychologists used to view as mindless, or wasted time. However, recent research found that mind-wandering is natural and healthy behaviour and could actually be a highly engaged brain state. Neuroscientists have found that daydreaming is related to our ability to recall information while we’re facing distractions. It taps into the same brain processes associated with creativity and imagination. This research supports what anecdotes have suggested for centuries. From Einstein’s theory of relativity to Nobel-prize winning chemical structures, some of the most important discoveries have been made while their inventors were taking a break from work. You might have had similar experiences yourself, finding that great ideas often pop into your head in the shower or while taking a walk. Neurologically, the brain has two different attention systems, an internal and external system. The brain’s internal system, or default mode network, is activated when we let our minds wander. The mind jumps from one thought to another, accessing memories, plans, emotions and stored knowledge. When we focus our attention on one task, we activate our external attention system. It’s not possible for both the internal and external attention systems to be active at the same time, but they are linked. In order to be consistently creative, we need cognitive variety, switching from one attention system to the other regularly, which means that we need to take regular breaks from work. The big question is whether all types of break are created equal or if certain activities are preferred. It turns out that any activities that require only a slight focus are better. Think taking a walk in nature, knitting, or listening to ambient music. In a study at UC Santa Barbara, four different groups of volunteers were given the same memory tasks, but each group was given a different activity during their breaks. Those who were given an undemanding activity in their break performed 40% better at the memory tasks than other groups. The problem today is that modern humans don’t allow enough time for mind-wandering or daydreaming. When was the last time you went for a run without listening to a podcast or music? Or just let your thoughts wander on a walk or long train ride? You’ll probably struggle to recall it. In fact, we have become so uncomfortable being left alone with our thoughts, that many participants in a recent study chose to electroshock themselves rather than do nothing for 6-15 minutes. Smartphones have become our ubiquitous companions. The average UK or US citizen spends around 10 hours per day consuming media. That doesn’t leave much time for daydreaming or generating creative ideas. 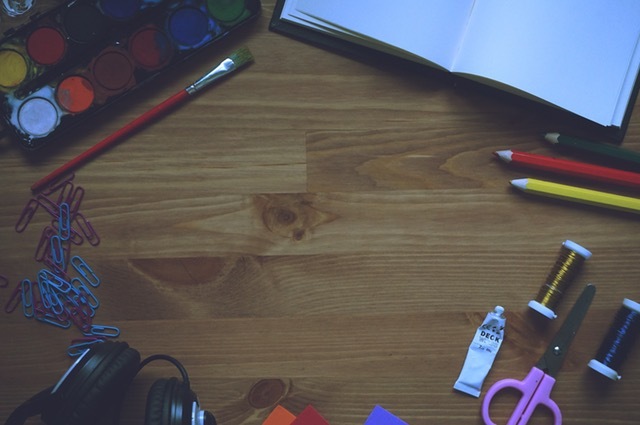 So how can we help our students be more creative? We can learn something from Finland’s schools. The Finnish school system has long been praised for its innovative and creative approach to education. One reason why Finnish students regularly score top marks in international rankings might be the regular breaks they take during the school day. Since the 1960s, every school in Finland has implemented 15-minute breaks every hour, which are open for play or relaxation. And Finland isn’t the only country that gives its students frequent breaks. Many East Asian countries give their students 10-minute breaks after 40 minute lessons. Fascinated by these results, Anthony Pellegrini, emeritus professor of educational psychology at the University of Minnesota, undertook a series of experiments to explore the relationship between break times and attentiveness in the classroom. In each experiment, he found students to be more attentive after their breaks than before. Attention also dropped off when the lesson dragged on and the timing of the break was delayed. Interestingly, it doesn’t matter whether kids go outside or stay indoors during their breaks; the results were similar in both cases. However, it does matter how the students spend their breaks, and how much freedom they are allowed during their recess times. When teachers were directing the break activities, the breaks lost their value. Free-play gave the students time to relax and recharge, as well as collaborate and communicate. There’s much heated debate about how best to foster creativity and modernise school systems. Simply allowing for more break times during the day could be a simple and cheap way to help students be more creative. And teachers would also certainly benefit from more frequent rest times. Do you have most of your good ideas in the shower? Share in the comments below. Wonderful article… Jennifer your post is great and I will surely implement your tips… I’m sharing this post with peers now! Thanks, Jennifer! Very interesting post. I think creativity is the main thing which can lead to success. Creative people are people with their own opinion and interesting vision on the world, they make progress in our world. Interesting! Thanks…. I reckon teenage students attending 60min classes would use up at least 10 min total time with mobile phone interuptions… Yes give them a block of 10 min to do this and leave the 40min for concentrated learning. Interesting article, thanks, Jennifer! Totally agree, Gen Z are creative young adults who want to change the world. If they are passionate about something – they share, inspire and involve as many people as they can in it! Let them be themselves and they’ll take your breath away. I agree with you. More downtime is needed to unleash students creativity.